One of my favorite seasons is here: rhubarb season! What is it about them that everyone flips out about? I can’t quite put my finger on it. I know they are delicious, beautiful, and the season is so short. Maybe that’s what it is about them? I saw them in the grocery store and went back a couple of days later and they were already sold out. C’mon, I had just started to dream of what I wanted to do with them! I called around to a few different stores, and one store had literally just got them in! I’m actually glad the first store sold out, because ones we got at the other store were the most beautiful color I had ever seen! I decided on rhubarb muffins; everyone freaking makes pie. I found a recipe, made it and was utterly disappointed with the recipe. Luckily I had enough rhubarb to completely stray away from whatever crap recipe I found. I looked at King Arthur’s website because they usually have great base recipes for things such as muffins. Low and behold, they did, and I was able to customize it the way I wanted! 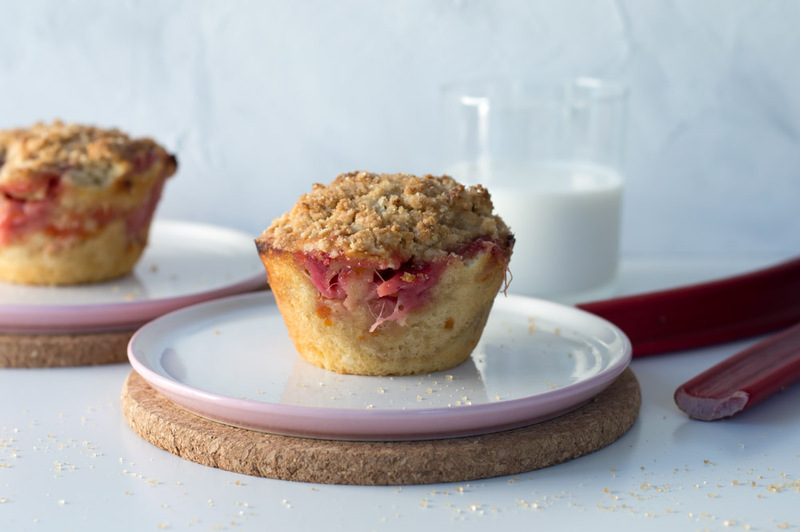 I believe the only thing I’d change if I were to be doing this again would be to fold my rhubarb mix into my batter instead of topping each muffin. This recipe is for a dozen muffins, but I only have a large muffin pan so this made 6 large muffins for me! 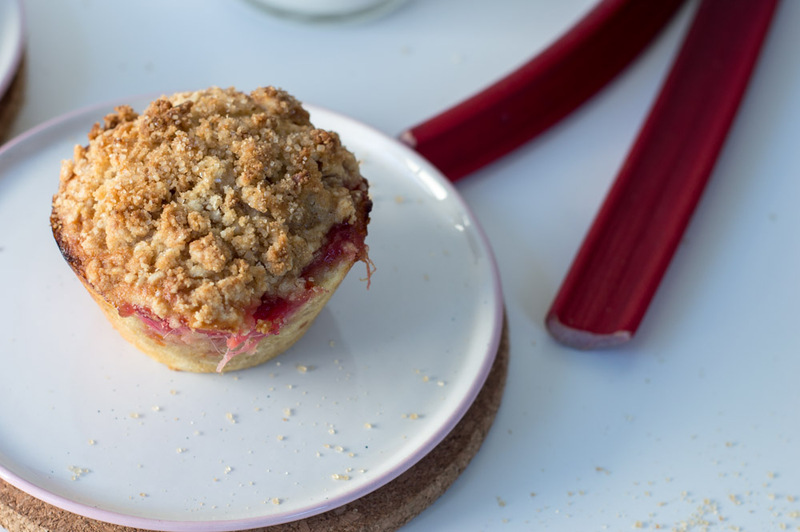 ∙First start with your rhubarb because you’ll need it to cool! Put everything into a pot and bring it to a boil. Once it’s come to a boil allow it to cool to thicken up some.